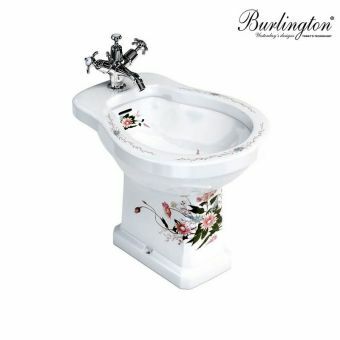 Burlington English Garden Traditional Close Coupled ToiletFrom £1534.67 inc.VATRRP: £2361.04 (Save 35%)Complete with decorated pan, cistern and choice of seats. 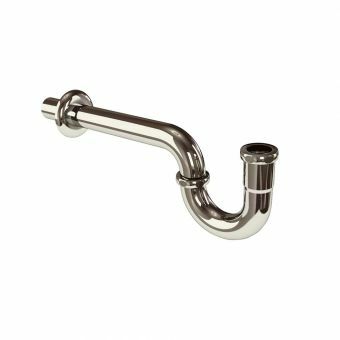 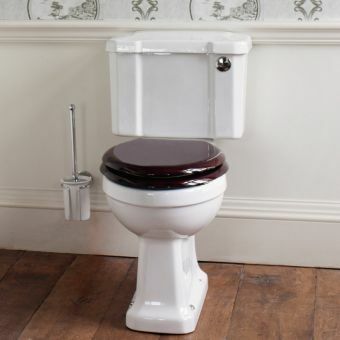 510mm cistern features bottom inlet and lever. 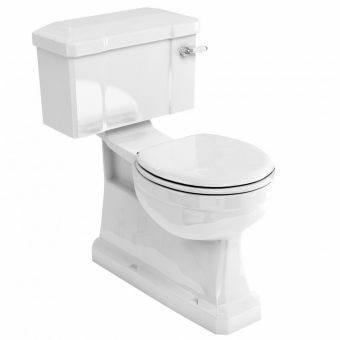 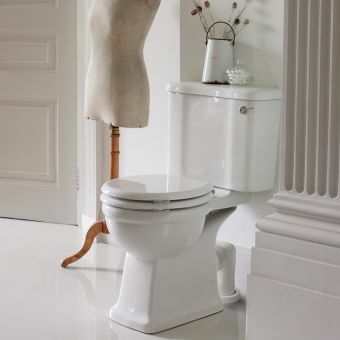 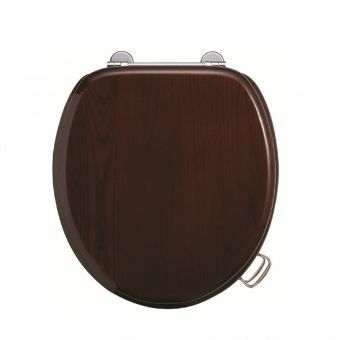 As comfortable as they are beautifully designed, Burlington toilets come with a broad range of options. 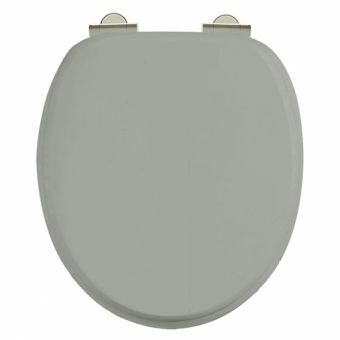 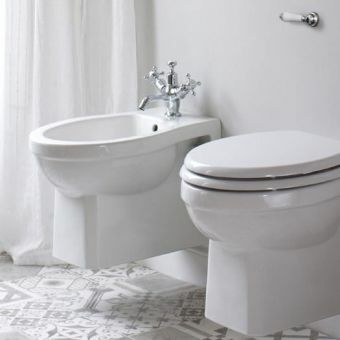 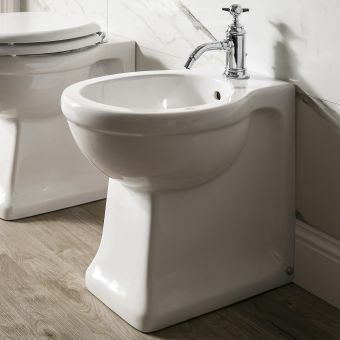 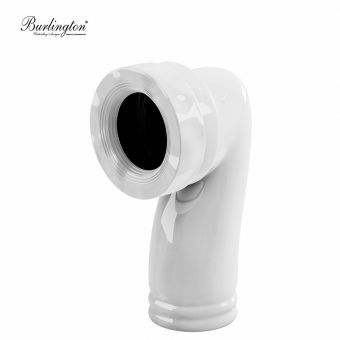 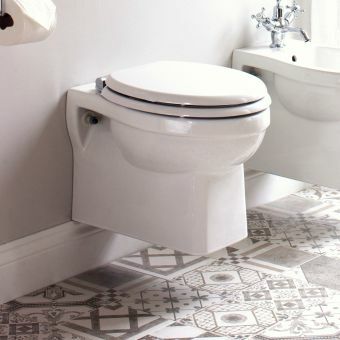 Instantly recognisable as classic Burlington designs, the high and mid-level cistern toilets of this range are fully in keeping with the vintage style bathroom or cloakroom. 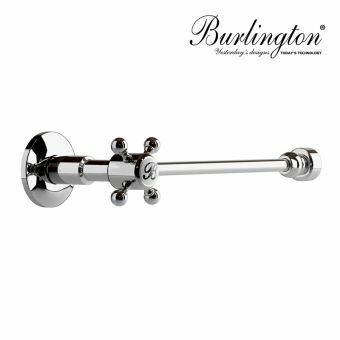 Burlington have a flexible approach to design, and realise that the traditional arrangement of high and mid height cistern WC units is not possible in every context. 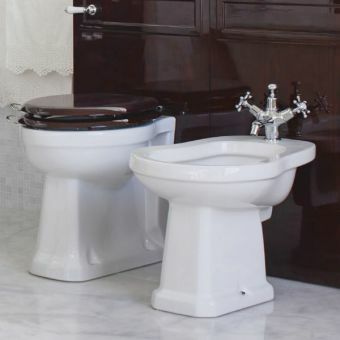 By adopting contemporary designs such as back to wall and close coupled units, these modern innovations have been cast in the traditional style for easy inclusion in the period interior. 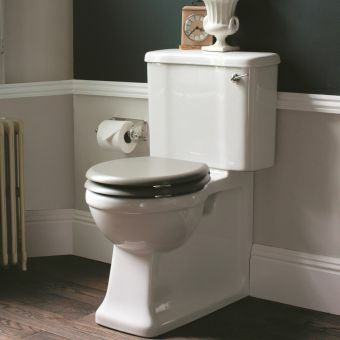 Further to their range of traditional WC units, Burlington toilets also include accessibility options, such as the Burlington Regal Raised Height units. 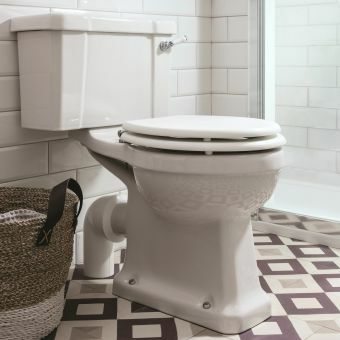 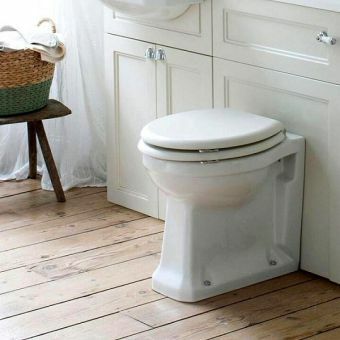 With their raised profile, they offer a more comfortable option for anyone with mobility issues, or those who struggle with standard height toilet pans. 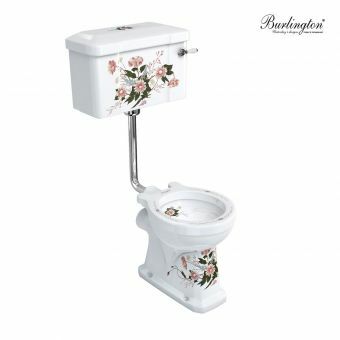 Unique to Burlington is the English Garden series, with several options here for their classic floral print pieces. 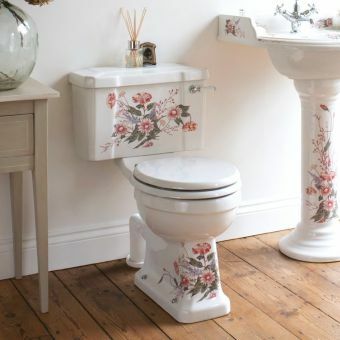 Bringing the essence of the English country garden to the bathroom, these pieces add a freshness and vibrancy to the living space.